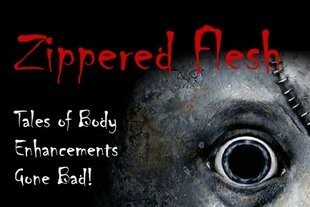 Dreadful Tales has a special treat for anyone who has read Zippered Flesh: Tales of Body Enhancement Gone Bad!, the official Dreadful Tales April Book of the Month. Next week, from Monday 5/14 until Sunday 5/20, we have a number of the contributors of this wonderfully disturbing, weird collection of tales on hand to answer your questions at The Mortuary message board. In addition to having interesting discussions with the contributors and fanatic readers alike, a few authors have also offered up free digital copies of a title or two to giveaway to participants. Stop by The Mortuary and pop into this thread to join the conversation. This entry was posted in Activities, Anthologies, Authors, The Dreadful Tales Book Club and tagged Dreadful Tales Book Club, Q&A, The Mortuary, Weldon Burge, Zippered Flesh by Meli Yoroshiku. Bookmark the permalink.